The Flash has an interesting history with midseason finales. There’s one like “Don’t Run” and “The Man in the Yellow Suit” that were near perfect in their execution. And then, there are ones like “Running To Stand Still”, which weren’t up to snuff. I’m happy to say that “What’s Past Is Prologue” is up in that upper echelon of midseason finales, and for all the right reasons. As I noted in my midseason finale, with Cicada’s identity truly revealed, it was time to strike, but the team knew that they had to do more than just attack Cicada, they had to go and disable his dagger. Nora had the idea to go and use remnants of the past in order to make a device to drain the dark matter of the dagger and thus render Cicada virtually powerless (or so they would think). Time travel is obviously a big part of the series for many reasons, and so I loved how Barry was hesitant at first to go back, especially knowing what he did with the Flashpoint Universe. Then, when Nora tried to come along, it made sense for him not to bring her along, only for Iris to convince him to do so, which was a very big thing for reasons I’ll get to. 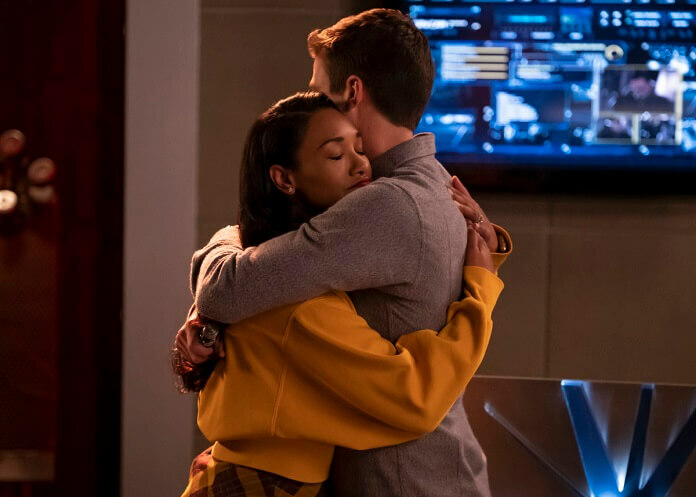 Usually, these time-traveling adventures are so full of plot holes that it’s unnerving, but here, they kept them to a minimum (with the exception of how Zoom knew Barry was in Star Labs with Nora, and what happened to him after the Wraith got him, but I’ll let it slide), and actually used the events of the past to help cement not only Nora’s new understanding of her father (seeing him at his lowest as he faced these foes), but show the true complexity of the series as a whole. I know that may sound poetic, but it’s true. Just the first season “returns” were big, and the shot of the Particle Accelerator explosion, and seeing all the lives (both good and bad) that were affected by it throughout the “seasons” was pretty powerful. And yet, the team also managed to work in some new scenes that helped flesh things out a little more, as well as a few winks at the audience. Unfortunately, they failed to stick the landing. I was really hoping that they would do the Arrow route (in regards to its Season 7) and take down its big bad in the first half of the season and then save the back half for another villain. Instead, in the course of about 15 seconds, they completely negated all that happened in the first 50 minutes of the show. Cicada was able to recall his dagger, and escape. Now he’s still out there, and that’s a problem for me because how much more does he have to offer as a villain? 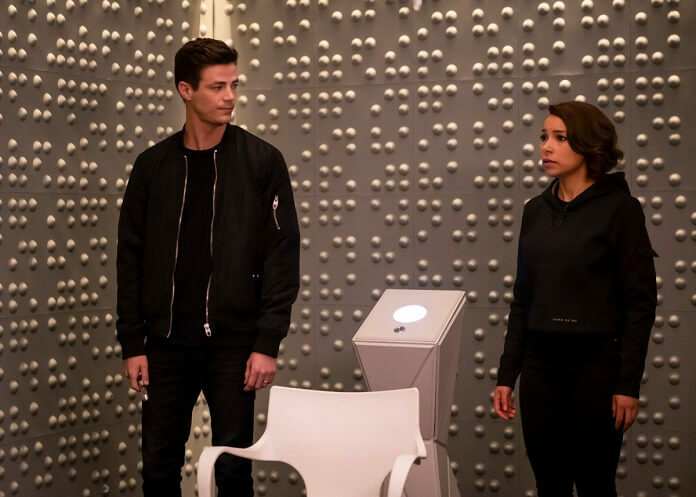 The big reveal though was that Nora was working with Eobard Thawne, a future version from 2049, and he failed to tell her some very key aspects of his life. Granted, we knew that Nora was working with SOMEONE, but Thawne? That adds many layers to things. Not the least of which is why Thawne is doing this at all. That being said, they really, REALLY hinted that it was Thawne throughout the episode. So it was hardly jaw-dropping by the time it happened. Still, despite those faults, “What’s Past is Prologue” was a very worthy 100th episode of the Flash (forget that?). I loved the references to characters past, present, and possibly future. 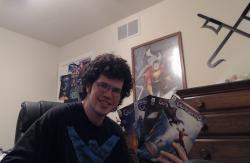 And I look forward to seeing where Flash goes after Elseworlds.